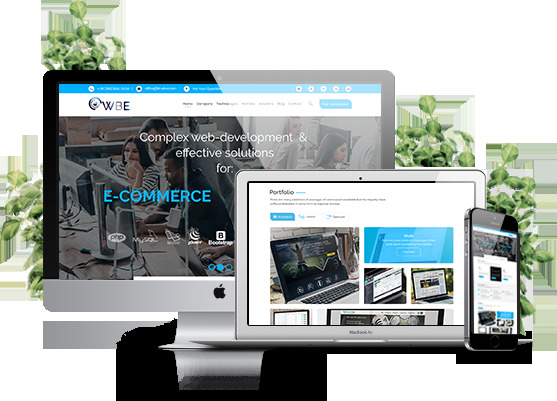 IT-company WBE (Web Business Effect) was founded in 2016 and located in Ukraine with an office in the city of Lviv (do you know that Lviv is the IT-capital of Ukraine?). Our team consists of professionals in UX/UI , web development (front-end and back-end), project management, business analysis, testing and internet marketing. Today digital transformation of business is a prerequisite for its successful development. IT-company WBE comprehensively perform digital transformation of a client's company, beginning from detailed business analysis, ending with the support of implemented IT solutions. "For a short period of time I managed to build a team of professional IT specialists, united by a common mission - the development of a client company through the implementation of integrated web solutions using automated platforms. Guided by the principles of proactivity, system approach, automation, agility and self-development, WBE team is able to effectively carry out the most complex tasks. " transparent formation of the price for development.